Wedding Photo Post Production Services for Wedding Photographers in Europe Countries – Well balanced and natural retouching to your wedding photos with excellent photo editors help. Remembering the most beautiful moments even the time goes on. Everyone has precious memories in their life time, but the fact is photographs which we were taken at the moments be with us forever. Outsource wedding photo post production services to enhance your wedding photos with high-end quality. Feel free to contact Outsource Image team. Editing wedding photos with light room tools by outsource wedding photo editing services to Outsource Image. Our wedding image retouching experts follows basic light room imaging adjustments to improve the quality of your photography. Wedding photo retouching experts in Outsource Image specialized in basic photo retouching techniques to enhance your wedding photography. 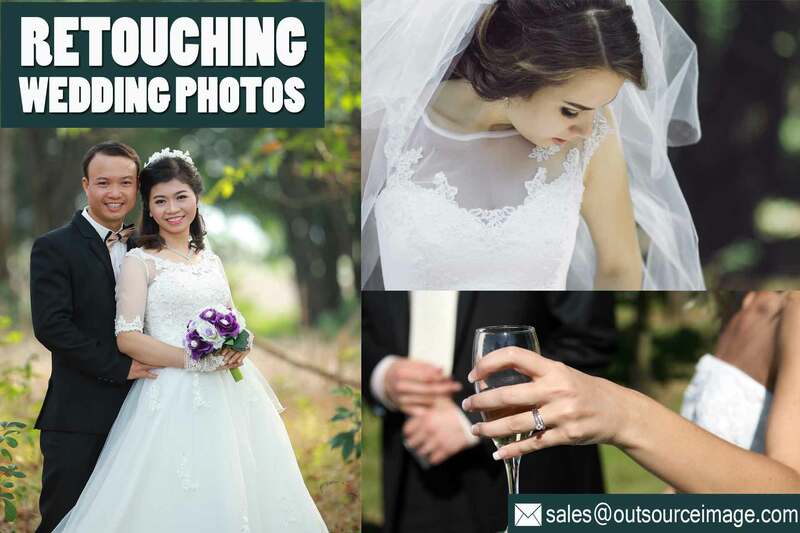 Outsource wedding photo retouching techniques to improve your photos. Remove unwanted reflections from your wedding photos add special effects to them. Create high-quality wedding images for less with advanced image editing techniques and tools from Outsource Image. We provide a range of professional wedding photo editing services to customers throughout the UK, USA, Philippines, Sweden etc., including image clipping, photograph resizing, background removal and image retouching. Our wedding photo retouching services experts work on your precious memories carefully and can recompose and edit your photos, remove unwanted shadows and reflections or even people. We can combine two or more photos together to create that moment you missed. We can remove creases from clothes and color black and white photos.